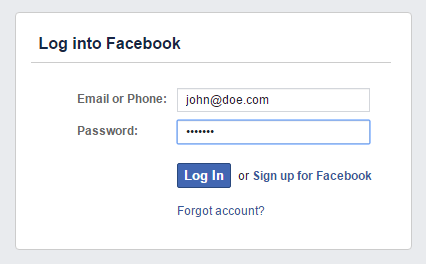 Your Tenterhook profile will always be associated with the provider. 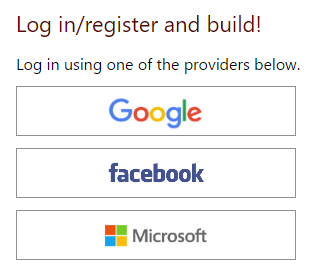 When you return to Tenterhook Studio in the future, remember to select the same provider to access your profile. 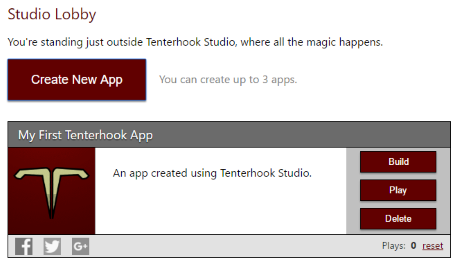 Note: Tenterhook will never ask for your password, nor will it share your name/E-mail information unless you specifically include it in your app(s). Next you'll head to the Studio Lobby where you can manage your apps. See the topic Creating Your First App for tips on getting started.